There is a China (not always popular) with the breathtaking scenery and beautiful landscapes, which is becoming the star of the new tourist boom in 'the Middle Kingdom'. Here millions of tourists (including foreigners) are rediscovering the beauty of nature. For the most part are lands dedicated to agriculture, organic farming, fruit, vegetables and fresh produce of the land, pristine, completely natural. In those places people are healthy, do not stress, away from the hustle and bustle of the city. 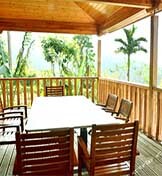 To accommodate the new waves of nature lovers are springing up appropriate structures (that someone calls 'Farmhouses', some 'Holiday farm', someone 'Farm stay') to allow tourists to live for a while in a country style, fully immersed in the fascinating natural scenery, breathing clean air and eating wholesome food and uncontaminated. On this page you can find the structure that will also allow you to try this fascinating experience. 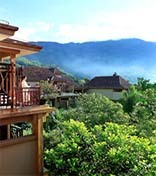 Ecology and nature are the new guidelines in the tropical island of Hainan. In the area of Sanya. 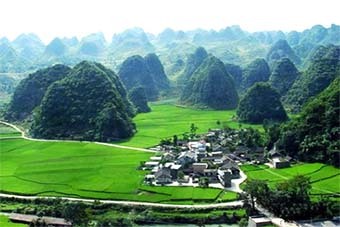 Rural tourism occupies an important place in the new guideline to boost tourism in China, released in August 2014. The plan provides guidelines for China to reach by 2020 a turnover of 895 billion for tourism US dollars). Several guidelines concern the sale of agricultural products. 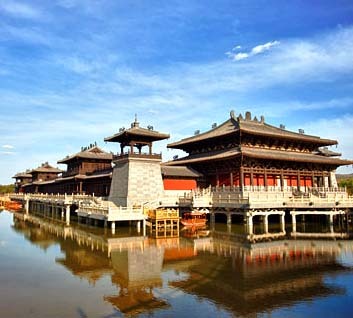 China needs to expand the sale to tourists of local, characteristic goods . The agricultural products are goods with strong appeal for tourists. So it is necessary to encourage private investment for building retail areas. Hainan will see the birth of more than 1000 projects of leisure agriculture structures by 2020. This is established by a recent plan created after observing that in the past 4 years, more than 10 million tourists who participated in leisure agriculture activities. Between 1000 leisure agriculture bases there will be 20 national rural tourism demonstration sites and 200 provincial leisure agricultural demonstration bases. 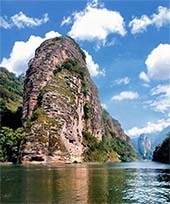 In China, there are many places rich in natural attractions. 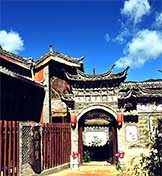 Some of those Sanya, Haikou and other cities of Hainan provinces; Yangshuo, Guilin and other areas of Guangxi provinces; Lijiang, Kunming and Yunnan areas; Chengdu and Sichuan areas; Guyan and Guizhou provinces; Huangshan and Anhui; Hangzhou Qiandao Lake, Zhejiang Deqing and; the Near Beijing and Shanghai. Rural tourism is a type of tourism (mainly directed to the nature's lovers) that is practiced by millions of tourists worldwide. Some destinations that are successful for rural tourism: Taiwan, Tuscany (Italy), Spain, France, Switzerland, Brazil, Hawaii, Grenada, California, Philippines. If eliminate some obstacles, China has a good chance of becoming in a few years the first in the world. 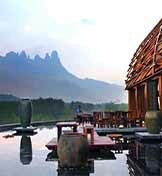 China has many destinations with beautiful natural scenery, perfect for lovers of the farm. 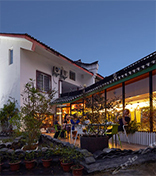 The existing farmhouse (also called 'Farm Holiday', or also 'Farm stay'', or 'country cottages') have great success among Chinese tourists, especially for healthy, genuine cooking. The farm of China, after years of preparation and public support, has recently begun to affect even the West, but in general its rural destinations for now are not well known. Recent events have made it clear that two trends are in place, the first is that it seeks to Improve the quality of services, the second is that it aims to further promote rural tourism of China on an international scale. The national and provincial authorities are determined to support this line of development. 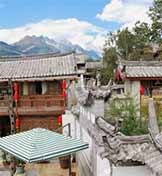 So it is easy to predict large numbers of foreign tourists sympathetic to visit the most beautiful Chinese countryside. Happy Farm Haikou is a farmhouse, located in Ruhuang Village, in front of Crater Geological Park, a 15-minute drive from Haikou city. Here customers can pick the vegetables, live ecologically and visit the nearby attractions. What is meant by "farmhouse"
In some Country (for example in Italy) they have a unique name: agritourism. In different areas of the world are used different names used to define the same thing: a farm, usually with ecological setting and located in special natural context, which rents rooms to tourists. These farms often allow guests to participate in the agricultural life, very often also have a restaurant with fresh and natural products. 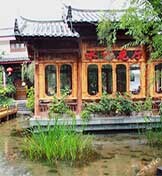 In China, these restaurants are getting a great success. 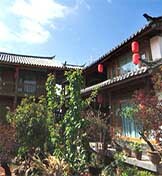 To appeal to most tourists, the farmhouse (maybe this is the name most commonly used) often organize activities 'leisure' (connected with the place and with agriculture) as participate in the harvesting of fruits or feed the animals or turn around to know how the agricultural production. They are part of the agricultural traditions also local crafts and foods preserved with technical 'light'. Often the farmhouses are selling genuine agricultural products, free from chemicals and poisons, without preservatives or additives to improve the appearance of the product. The prices for the rooms are often lower than a hotel, but at present there is a tendency to give rooms more carefully and to give a better service. 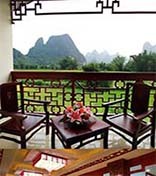 So even according to the location of the structure, the so-called "country room" can have prices comparable or higher than those of the hotels. The lists of 'farmhouse' are often also included country hotels which, although not in agricultural production, are placed in the context of a farm or a natural setting in the countryside. Here are some of the names that are commonly used to define the farmhouse: farm holidays, farm stay, agritourism, country cottage, rural homestay, rural home inns, holiday farm, country inn, rural guesthouses, inn farmstay, farm cottage. we advise you to report your farmhouse in the space below. We have an idea for you.